Daniel Craig AS QUOTED BY THE VULTURE BLOG of New York Magazine About Bond 24. Yahoo! 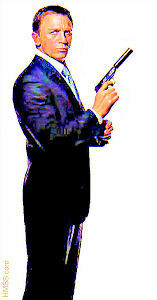 : 007 TO CRACK WISE IN `SKYFALL’ SEQUEL. The U.K. Telegraph: DANIEL CRAIG WANTS TO LIGHTEN UP BOND 24. IGN: DANIEL CRAIG: BOND 24 WON’T BE CAMPY. Entertainmentwise: DANIEL CRAIG WANTS TO SEE MORE DRY HUMOR IN BOND 24. 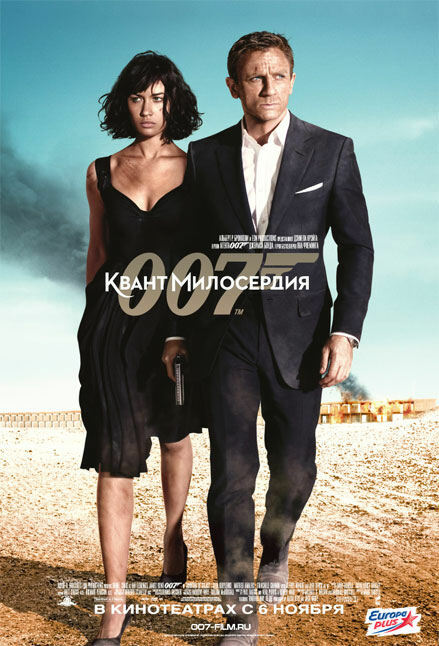 Not much is known about Bond 24, scheduled for a fall 2015 release. Even some of what is known, such as the fact Skyfall co-scribe John Logan will pen the scripts for Bond 24 and Bond 25, was initially denied by one 007 partner (Eon Productions) before being confirmed by another (Metro-Goldwyn-Mayer). Thus, any word about Bond 24 — especially coming directly from the movie’s star — is going to be analyzed. But which “old irony” did Craig mean? It’s not detailed explicitly in the Vulture article. The quote about irony comes after a passage where it’s described how Skyfall was “lifted by a late ‘humor pass’ on the script.” The actor also says it was his idea to have Bond straighten his cuffs amid mayhem in Skyfall’s pre-credits sequence. It’s a Bondian moment, similar to Pierce Brosnan’s Bond straightening his tie in the middle of GoldenEye’s tank chase and The World Is Not Enough’s pre-credits sequence. Presumably Craig’s irony comment wasn’t referring to the Roger Moore era (1973-1985), known for an expansion of humor relative to earlier 007 films. But even the Sean Connery era of the Eon movies (1962-67, 1971) had quips such as “She should have kept her mouth shut,” and “Shocking, positively shocking,” not necessarily the most subtle bits of humor. Connery’s non-Eon 007 film, Never Say Never Again, had a slapstick British diplomat, Nigel Small-Fawcett, and jokes about urine samples. So perhaps Bond 24 will have a lighter tone. But there are other signs that humor may still be limited. John Logan was quoted in March by the Financial Times as saying words he “hopes to build on Skyfall in examining the complexities of Bond’s character.” We’ll see. Actor Joel Edgerton has been offered the role of Russian agent Illya Kuryakin in Steven Soderbergh’s planned movie version of The Man From U.N.C.L.E., according to A REPORT in Vulture, an entertainment blog of New York magazine. This has post has been corrected to note that our sources just clarified that Bradley Cooper is still weighing the role of Napoleon Solo (Robert Vaughn’s old part), but is waiting to commit until seeing who WB gets to play the role of Illya. If Edgerton signs on and Cooper approves, the A-Team star may still play Solo. David McCallum, who plays Ducky on NCIS, was Kuryakin in the original 1964-68 series. The character was created by Sam Rolfe (who got a “developed by” credit in the original), and expanded by writer Alan Caillou. The Vulture blog earlier this year published a list of everything Soderbergh had watched at home over a year’s time. It included almost all first-season episodes of The Man From U.N.C.L.E., an indication he was researching the original pretty thoroughly.